Children who play video games for more than three hours a day are more likely to be hyperactive, get involved in fights and not be interested in school, says a new study. 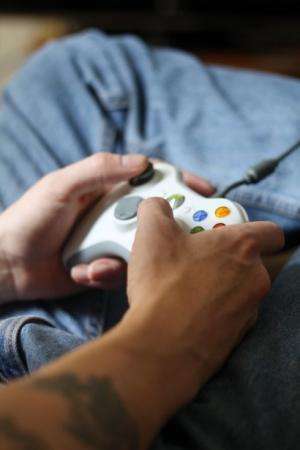 It examined the effects of different types of games and time spent playing on children's social and academic behaviour. The researchers from the University of Oxford found that the time spent playing games could be linked with problem behaviour and this was the significant factor rather than the types of games played. They could find no link between playing violent games and real-life aggression or a child's academic performance. They also found that low levels of play - under an hour a day - might actually benefit behaviour. The findings are published in the journal, Psychology of Popular Media Culture. Although some parents might believe that by playing strategy and puzzle games their child might boost their school grades or increase their social skills, the bad news is that the sociability and the grades of the children who played such games were found to be no higher than their non-playing peers. The study finds that no game features typically encountered by young people could be linked with any negative patterns of behaviour; yet children who played some kinds of games were linked to some types of positive behaviour. Children who played video games with a cooperative and competitive element had significantly fewer emotional problems or problems with peers. Children who chose to play solitary games were found to do well academically and displayed fewer emotional problems or get involved in fights. The researchers relied on teachers' assessments of behaviour of individual pupils at a school in the southeast of England - instead of relying solely on data from the young people. Teachers reported whether the 200 pupils in the study group were helpful, their academic achievements, and whether they were rowdy or likely to get into fights .The pupils involved in the study were numbered so their personal identities were not revealed to the researchers. These assessments were matched with the responses to a questionnaire that asked each of the pupils in the study, who were aged 12-13 years old, how long they played games each day and the type of games they preferred. The choice given was to play solo, offline competitive team games, online cooperative and competitive games, combat and violence, puzzles and strategy, and games to do with sport and racing. The study suggests that these latest findings lends partial support to the recommendation of the American Academy of Pediatrics that parents should pay close attention to the amount of time their children are playing these games. More information: The paper, 'How the Quantity and Quality of Electronic Gaming Relates to Adolescents Academic Engagement and Psychosocial Adjustment', is published in the journal, Psychology of Popular Media Culture.